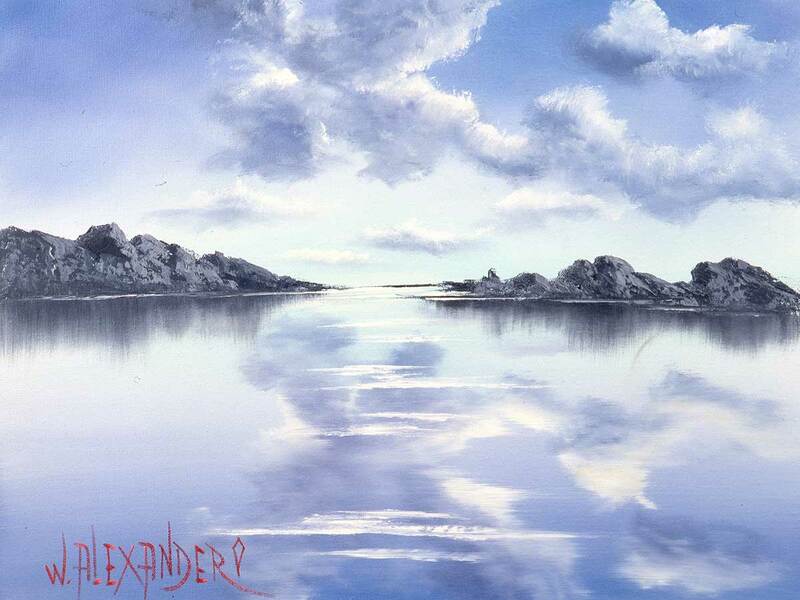 Welcome to the world of painting at Alexander Art. We are excited you are exploring your talents and want to encourage you to examine the rest of our site. We’ve got complete videos of Bill in our podcast area and hundreds of video clips with tips, techniques, and advice to help you become the best artist you can be. In this course Bill shows you how to create a powerful sky. Any painting with a striking sky grabs your viewer’s attention. A dramatic sky makes your painting interesting and impactful. Interesting paintings sell! You’ll see the basic structure of all of our art courses. When you finish The Cloud Course, we hope you consider our other self-study courses or our mentored Master Class program. You can get access to all of our self-study art courses for one low monthly (or even lower annual) subscription fee. You can learn more about that option at this link. Please watch this orientation video first so you’ll know how to navigate the course. Enjoy your painting experience. We look forward to seeing your work.